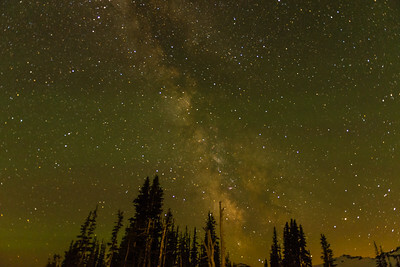 These two photos were taken in MT Rainier National Park at 2am with no moon so it was really dark. 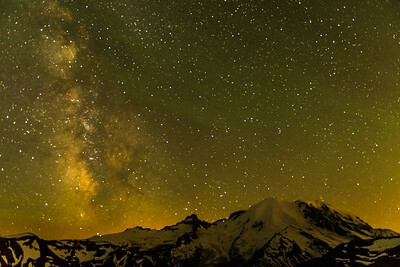 Both were long exposures to bring out the colors of the Milky Way invisible to the naked eye. Mt Rainier National Park foreground trees. Mt Rainier National Park, Mountain in foreground.